Like most Georgia jurisdictions, Hall County takes DUI enforcement seriously. Their police officers are trained to conduct DUI investigations the same way officers in every other jurisdiction in America are trained to conduct them because DUI investigations are standardized. That means police officers are held to the same standards as police officers in every other Georgia jurisdiction. Thus, when you hire a skilled attorney that knows how Georgia officers are trained to conduct DUI investigations, he or she can review the officer’s investigation to see if he or she properly administered the standardized field sobriety tests. 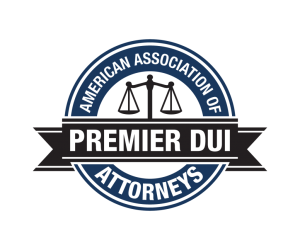 Your attorney can also investigate other aspects of a standardized DUI case which the prosecution is relying upon when bringing a case against you. If standardized field sobriety tests are not administered properly, the results are not reliable evidence against you! Not all drunk driving lawyers are created equal. To have the best possible chance at building a successful defense to your case, you need an attorney who not only has the knowledge and experience to be able to attack the foundation of the prosecution’s case – and the tests – but one who is willing to devote the time it takes to thoroughly evaluate the case and identify each and every potential problem in the police and prosecution’s case. Attorney Jeremy Hayes is a member of the American Association of Premier DUI Attorneys and has special training in using the National Highway Transportation Safety Administration (NHTSA) training manuals to evaluate Hall County DUI investigations, identify the improper administration of field sobriety testing, and use that information to build your defense. At Spaulding Law, we see it as our duty to our clients to devote that kind of time to the defense of every case we take on. It’s how we would want our defense attorney to work for us if we were on the client’s side of the table, and we believe it is the best way to defend DUI cases. As a result, that time investment is built into the fee structure at our firm, and it is why we candidly acknowledge we are likely not going to be your cheapest option for defense. But we also believe that with so much at stake in a DUI or BUI, your investment in your own defense and your own future is always worthwhile. What If I Was Arrested For DUI In Flowery Branch Or Oakwood? Because Municipal Courts do not conduct jury trials, all cases made by the Gainesville Police, Flowery Branch Police, or Oakwood Police are transferred to Hall County State Court when a “not guilty” plea is entered, and a jury trial is demanded. Selecting the court that is most favorable for resolving your case can be critical to your representation. That is one of many reasons why it is important to contact an experienced DUI defense attorney right away after you are charged. Usually, a defense is best presented to a jury, but there can be times where a more favorable outcome can be had in a Municipal Court without having to have a trial or transfer your case to Hall County State Court. The Municipal Court prosecutor has as much authority to reduce or dismiss your charge as the county Solicitor’s Office does, and at times they may be open to considering defenses or problems with the case early on. Hall County is also home to a large portion of Lake Lanier. Operating a boat while under the influence on Lake Lanier can result in a Boating Under the Influence (BUI) charge, which is just as serious as a DUI charge. Georgia law prohibits the operating of any boat, vessel, jet ski, surfboard, or similar moving device by any person whose blood alcohol level is at or above the same 0.08 legal limit for operating a motor vehicle. The law also prohibits operating or being in control of any such watercraft or device when you are under the influence of alcohol because it is less safe for you to operate it than it would be if you had not consumed any alcohol. So, just having a blood alcohol level that is below the legal limit does not mean you cannot be charged with violating the BUI law, which is also true for operating a motor vehicle. If you own a boat, watercraft, water skis, or anything similar that can be towed behind your boat, you can be charged with violating the BUI law if you permit anyone who you know or have reasonable grounds to believe is intoxicated or under the influence of alcohol or drugs to operate it or steer it. This means even if you are a completely responsible and sober boat owner driving your own boat, you can be arrested and charged if you permit a passenger you know or suspect to be intoxicated or impaired by alcohol to water ski or steer or manipulate any kind of surfboard or boogie board or similar flotation device. The penalties for BUI are virtually the same as those for DUI. That being said, Georgia law says that by operating a boat on Georgia public waters, you are consenting to provide a blood, breath, urine, or other bodily fluid sample upon request by any law enforcement officer who has arrested you for BUI and has reasonable grounds to suspect you were operating or in physical control of any vessel or similar watercraft. BUI, like DUI, carries penalties of up to twelve months in jail, community service, fines, and other conditions. If you have been charged with a DUI or BUI in Gainesville or anywhere else in Hall County, Aa, don’t wait to act. Call us at (470) 336-5562 or fill out our contact form on this website and one of our attorneys will respond within 24/hrs.